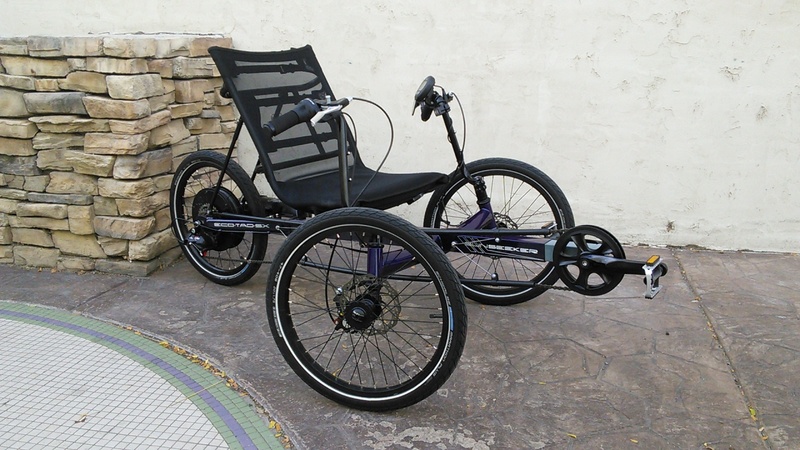 An entry-level trike with an electric upgrade. The Sunseeker Eco Tad meets the pedal assist power of the Bafang crank-mounted middrive motor system. The Electro Tad comes with your choice of a 500W, 750W, or 1000W motor. The 850C color console allows you to easily set 9 levels of pedal assist. Don't want to pedal? The thumb throttle instantly engages the motor turning your trike into a fun electric go-cart. 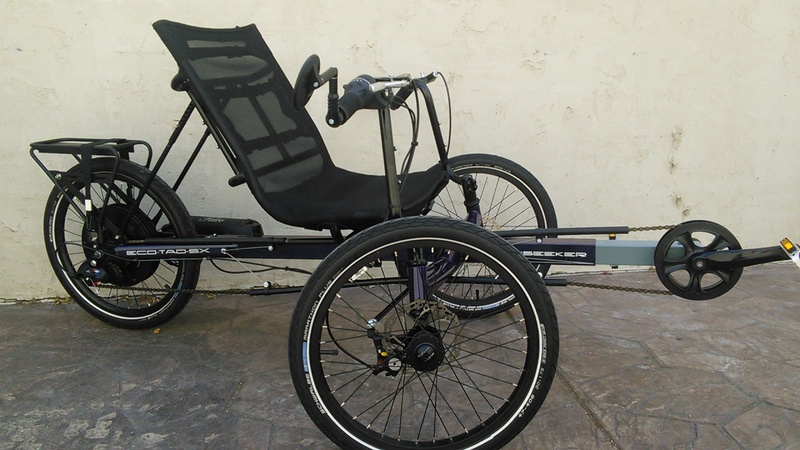 This pedal-electric hybrid is perfect for all around riding. 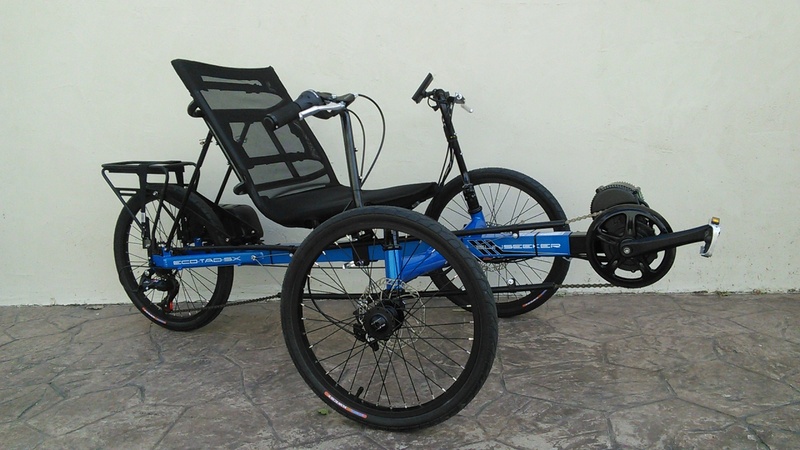 E-assist trikes have become all the rage in the bike and trike world. The UTCustom Electro Tad lets you enjoy the electric power of a hub motor without emptying your bank account. 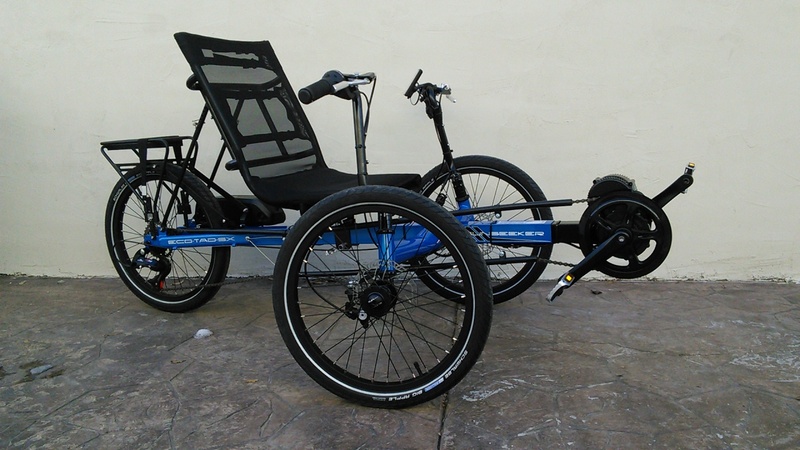 We chose a reliable trike and added a powerful 500w Bafang middrive motor which runs through the rear gearing. 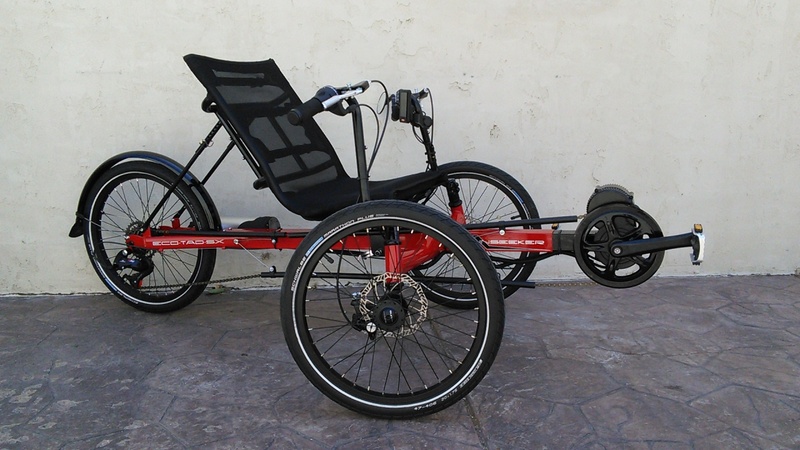 Paired with a 17AH battery, the Electro Tad can travel 30-35 miles on a single charge when using the system conservatively. If you want more power and speed, 750W and 1000W motor options are also available. Want more range? Ask us about adding a second battery to double it! 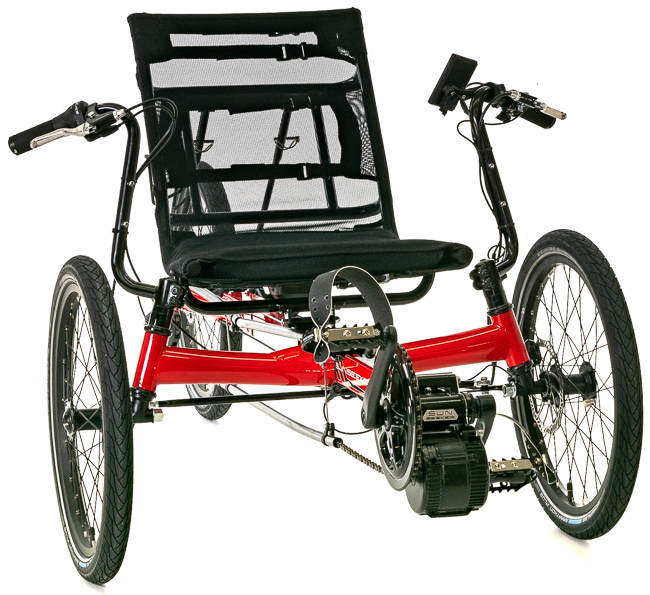 The Electro Tad Features a padded mesh seat that offers great comfort and ventilation on the road. 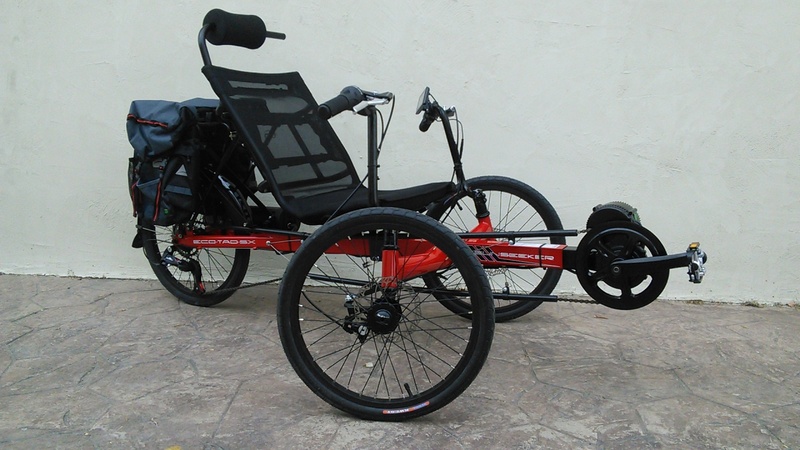 The seat stays are adjustable as well so that you can choose your riding position. 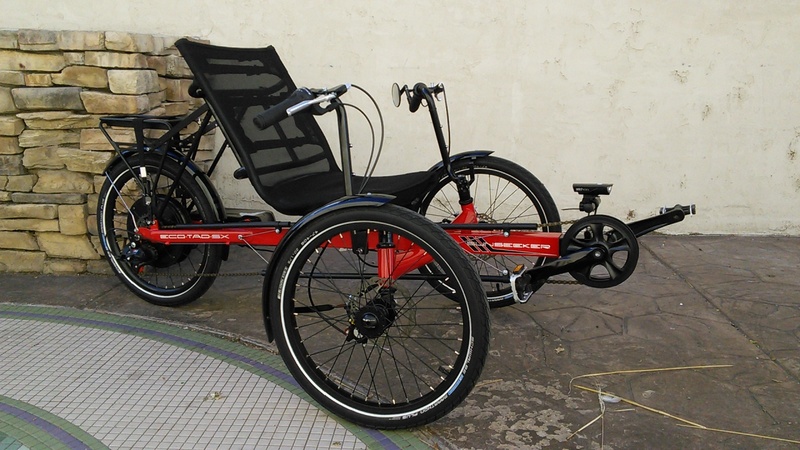 The seat position on the frame can be adjusted with the quick release lever found under the seat. 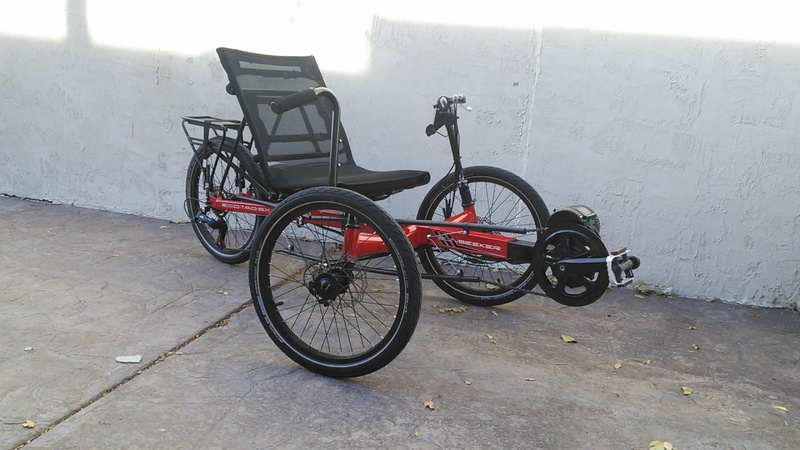 This electric-powered tadpole trike uses Promax brakes, locking brake levers, and 20-inch Kenda Kwest tires all around that provide for a great ride on the pavement. The frame is made of hi tinsel lightweight steel that's durable and will make the Electro Tad your riding companion for miles to come.